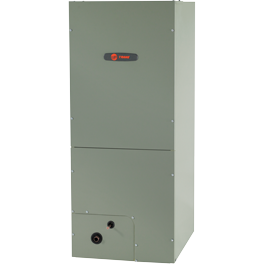 The TEM6 variable speed air handler provides high performance without breaking the bank. Designed to meet your home needs, with reliable and efficient operation. The all-aluminum coil found in the TEM6 residential air handlers is exponentially more durable than standard copper coils, which are susceptible to formicary corrosion. These all-aluminum coils ensure families stay comfortable indoors all year long, no matter what the weather outside. The introduction of the TEM6 residential air handlers allows more flexibility for addressing special applications for all of your heating and cooling needs. With a variable speed motor, and Comfort-R technology, the TEM6 offers efficient home comfort at a price that is easy on the wallet.